CD 1 &2: June 1st. CD 3&4: June 2nd. 1982. Sound: Audience recording. I've read excellent sound. Comments: From the 1982 'Hot Space Tour'. Queen did only 4 gigs in UK on this tour. This 4cdr release included 2 of them. As far as I know, this is complete gigs in excellent audience recording. For first time, Queen included a keyboard player in the live shows. On this European tour, Morgan Fisher (ex 'Mott The Hoople') appear on the keyboard. The concert at Milton Keynes Bowl on June 5th.was professional filmed & recorded, and released officially on DVD, 2cd & 3LP. Roots: From a audience recorded tape. Edinburgh shining exceptionally in the European leg of the “HOT SPACE TOUR 1982”, which is undoubtedly the last performance 2DAYS. The finest live album that recorded the whole story appeared. This work includes “Edinburgh Performance June 1, 1982 + 2”. It is a 4-tuple with that full audience recording arranged 2 discs each. First of all, let’s check the position of the show from the tour schedule of the time. This is the whole world tour of 1982. 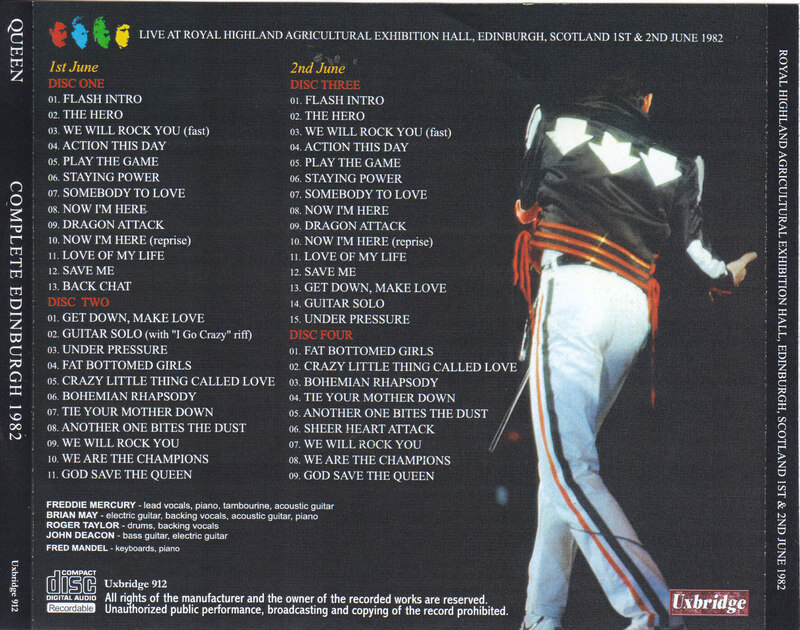 Schedule to perform four performances in the UK in his home country shortly after release around the continent of Europe before the release of “HOT SPACE”. 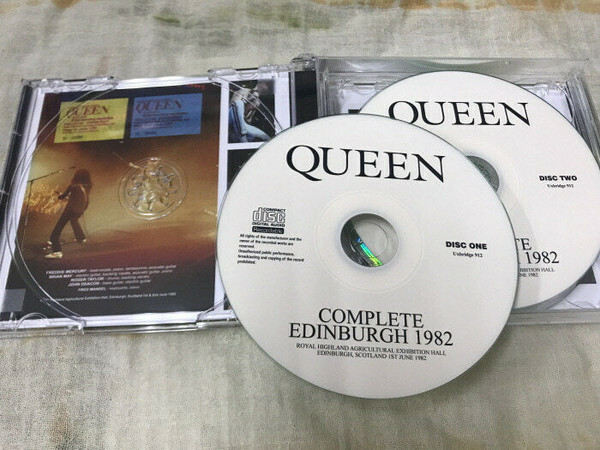 The last day is also the official work “QUEEN ON FIRE: LIVE AT THE BOWL”, but the Edinburgh performance of this work was a concert that was the second tour of the “UK” tour and the third show immediately before that. This work is a splendid audience recording that recorded such a show. Recording has been known for a long time for two days, but this work is not such a copy or remaster of that origin. It was digitized directly from the master tape recorded by the same recording person. The sound glows like dazzling eyes. Although it was a honorable name recording from the beginning, its contours are crisp and fine details of the guitar can not be crushed even by one kick of the bass drum, and the synth tone is also sparkling and beautiful. And, above all, Freddie’s long tone. There is no distortion or cloudiness in the singing voice extending to the empty space any more, it shines like a laser beam. It is dedicated in that sound, a masterpiece that is loved by enthusiasts during the performance. The 1982 European tour is also famous for a series of blown-up tense shows that are blown off, but the momentum in that country’s rampage as it is. The set conforms to “QUEEN ON FIRE” on the last day of UK, but there are slight differences. 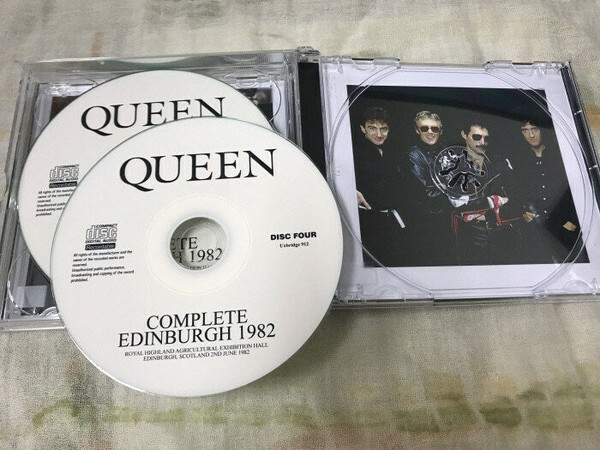 Although it is “first day (disc 1-2)”, although “Sheer Heart Attack” has been scrapped, Freddie’s powerful vocalization is wonderful, and the performance of high perfection is also delicious. “Back Chat” also decides to be a bit too. And the interesting thing is Brian’s guitar solo snowing from “Get Down Make Love”. I’m talking about “I Go Crazy” riff here, but this song was released in 1984’s single “Radio Ga Ga”. Although this day is not the first time to show off, I understand that I had ideas for quite a while. If the first day is a powerful show, “Day 2 (Disc 3-4)” is Hyper! Here I am playing “Sheer Heart Attack” instead of “Back Chat”, but it is a great success that goes through the full story beyond that Freddie’s flying skill is amazing. Singing with the momentum reminiscent of the previous continental version, the call & response after “Play The Game” also extends the spectators spectacularly. And the audience opposite to it was delighted. Although I forgot to write, this work is wonderful in both the 2 performances and the spectators of the big crowd. Though it does not threaten the drum sound and thick sounds, the show and calls & responses are grand and wide. Whatever you can play Freddie, you can see well that it is not turning around, involving a large crowd and getting even more heat because it received the heat. Although “live is a living thing” is said, it is also a set that you can feel that meaning is a superb sound. 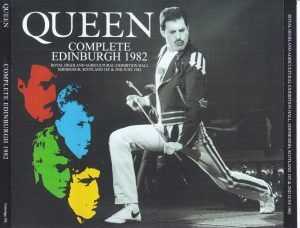 It is a superb live set that has drawn Edinburgh 2 performances with masterpieces as a master sound. 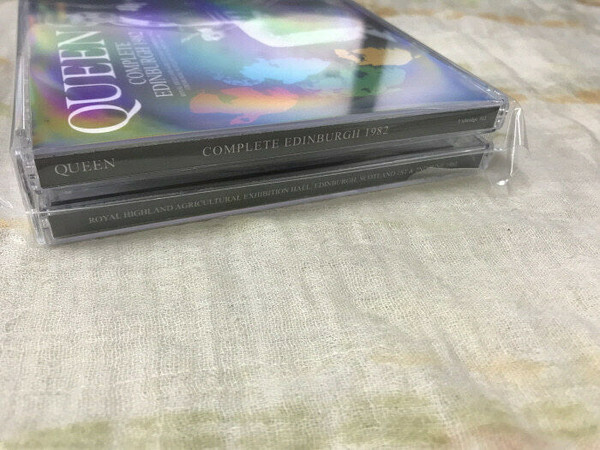 For those who have been loved by traditional boards, the set of 4 pieces will taste the beauty of the sound that the master tape had sucked in for those who listen for the first time, plenty of Freddie’s amazing taste. A wonderful song, a wonderful show, a wonderful audience, a wonderful sound that inhaled them all. All that is overwhelming one. Please, please enjoy it to your heart’s content.